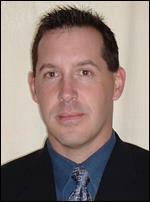 In 1994 Jeff Krushell graduated with a Bachelors Degree in Kinesiology from the University of Calgary. While attending school he worked as a Strength and Conditioning Coach with the varsity teams as well as professional and nationally ranked athletes. It was here he started his first company Performax Strength and Conditioning. Moving to Edmonton in 1996 he worked as the Director of Athletic Development at the Edmonton Sport Institute, training athletes from many sports and developing camps and school programs that still exist today. Late in 1997 Jeff moved on to the Royal Glenora Club of Edmonton as Director of Sport Performance Development overseeing the strength and conditioning for the Elite Athlete Training Center. In February of 1998, Jeff was hired by the Toronto Blue Jays as the Minor League Strength and Conditioning Coordinator where he stayed for two full seasons before moving to the Major League Club in 2000. Here, Jeff oversaw the entire strength and conditioning program of the Toronto Blue Jays Baseball organization. Also, during this time he became very involved with Baseball Canada and Major League Baseball International promoting strength and conditioning to athletes and coaches. During the spring of 2003 Jeff stepped down from the Blue Jays to pursue a private business “Krush Sport Performance”.Jeff Krushell, owner of Krush Performance, consults with Major League Baseball International overseeing the Strength and Development program on a global scale. Jeff has consulted with the Edmonton Eskimos of the CFL and works with a handful of elite athletes at his home base in Edmonton. Also, as the Director of Human Sport Performance, promoting cutting edge sport science and drug free sport,Jeff Krushell has developed a professional network of sport contacts that includes Athletes, General Managers, Coaches and Sport Scientists from every discipline, every level of sport and reaching all around the world.